MAKER OF POTENTIAL HIV CURE SPEAKS UP! News of a "potential HIV cure" had many on social media in a frenzy, but the maker of the drug has moved to temper expectations, saying more trials are needed, and the process is in its infancy. Israeli-based pharmaceutical company, Zion Medical, which recently broke the news of a successful first clinical trial for what they called a potential HIV cure, has issued a further statement on Twitter making it clear that more trials will be needed, and their official results will need to be published and peer-reviewed. Since the company made the announcement on 31 October, there has been a wave of excitement on social media in particular, with people clamouring for more information on the "potential cure". According to the World Health Organisation, at the end of 2017 approximately 36.9 million people worldwide were living with HIV. In a statement at the time, Zion Medical announced the results of the first clinical trial of its HIV-drug Gammora, which, the company said, eliminated up to 99% of the HI virus within four weeks of treatment. Nine HIV-infected patients took part in "Part I and II" of the trial, at Dr. Ronald Bata Memorial Hospital in Entebbe, over 10 weeks. But the company has moved to temper expectations, saying on Twitter: "We want to thank everyone for their interest in the promising results of our first clinical trial. Like you, we are hopeful that #Gammora may one day offer those affected by #HIV a viable path to ridding themselves of infection. Much work remains in this mission including additional trials, publication of results and the steps required to make #Gammora commercially available. "We are not there yet, but we are a step closer, hopeful – and committed to keeping you informed of our progress." The company also acknowledged that the official results should be peer-reviewed in a scientific journal, which it hopes to have done in early 2019. Professor Adrian Puren, Head of the HIV Surveillance and Sero-Molecular Diagnostic Section at the National Institute for Communicable Diseases (NICD), told Health24 that there is a lengthy process that needs to be followed, before being bold enough to call the drug a potential cure. "You would need to go through several stages to prove something like this. Doing the research, gathering the evidence and building up all that's required to find some potential is important. "There are different phases that you would need to go through as well. You may need to do an animal trial, then a small human trial - the process is complex and you may need to start out really small and run several tests in order to determine that the drugs aren't toxic and that there aren't any harmful side effects. "You would also need to test the efficacy of the medication at various stages, going through the different phases of trials. At some stage you would also need to run randomised tests so that you eliminate biases from the research and really make sure people aren't being harmed. "Going through something like this is not easy. It is highly complex, needs to be detailed and it's quite expensive. If I were going to look into this drug, I would want to see the published literature and be able to trace everything back to the authors, knowing that everything has been reviewed. "Once all of the research has been done, it's been reviewed and it is run through all the regulatory authorities, various ethics boards, and sufficiently scrutinised, then a company will be able to make a statement like that. And when they do make announcements like this, they usually do it at big conferences," said Puren. 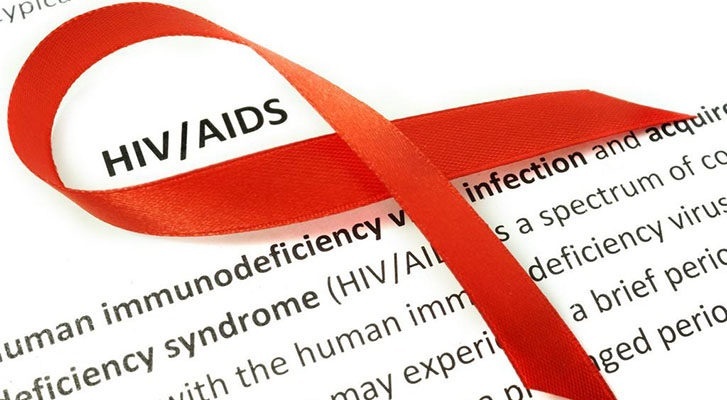 The Health Department's Deputy Director General for HIV/AIDS, TB and Maternal, Child and Women's Health, Dr Yogan Pillay, added, "As far as we are aware, there is no published clinical trials on this. "Unless this is published in peer reviewed journals and the World Health Organisation approved this drug, we cannot take this claim seriously." On Tuesday, a prominent SA HIV scientist slammed the "cure", which was widely being punted on social media, as smacking of "quackery". "The HIV world has seen quackery in different forms for decades – sadly this smacks of more of it," Professor Francois Venter from the University of Witwatersrand's Reproductive Health and HIV Institute, told Health-e News. He said that saying the drug is a potential cure with no side-effects are "over-the-top biological claims that appear in public before the formal literature [is published] and should be viewed with deep scepticism". "I looked at the press report and the unsophisticated company website, and even if you believe their claims, they are many years away from testing them," said Venter. Zion Medical is a relatively new company, established in 2014. According to the company website, it develops AIDS and Cancer curing products based on peptides derived from HIV and targeted lentivirus particles. It lists its partners as The Hebrew University of Jerusalem, Mount Sinai Hospital in New York (USA), and the Tel-Aviv Sourasky Medical Center, among others. All of Health24's attempts to contact Zion Medical directly for further comment have so far been unsuccessful - all forms of electronic mails have been undeliverable due to an invalid email address and all telephone calls go unanswered.